This salad is a celebration of berries and all their healthy deliciousness. It combines the peppery arugula leaves with the sweet berries and the lemon and honey dressing brings it all together perfectly. I love it as a sunny afternoon lunch or a mid-day snack. 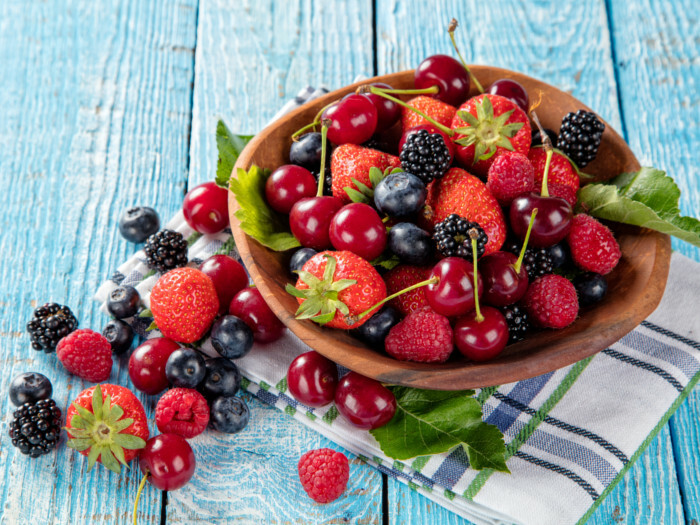 A berry-licious and nutritional mid-day snack! To make mixed berry salad, first, wash and pat dry arugula leaves and the berries. Combine honey, lemon juice, and zest in a small glass and pour over the salad. Enjoy this delicious salad with family and friends. For breakfast, you can also combine all the ingredients into a mixed berry breakfast smoothie, the recipe of which is given in the link below.